The “Partnership for Innovation, Education and Research” (PIER) stands for the strong partnership between Deutsches Elektronen-Synchrotron (DESY) and Universität Hamburg. The graduate school is jointly funded by DESY, Universität Hamburg and the Helmholtz Association. Deutsches Elektronen-Synchrotron is one of the world’s leading accelerator centres. The research centre, which is a member of the Helmholtz Association, develops, builds and operates large-scale accelerator facilities and uses them to investigate the structure of matter. DESY’s combination of accelerator development, research with photons and particle physics is unique in Europe. As the largest research and educational institution in northern Germany, Universität Hamburg combines a diverse curriculum with outstanding research. With its more than 40,000 students, it is Germany’s third-largest university. The outstanding research being conducted in biology, chemistry and physics as well as in medicine at the University Hospital in Eppendorf play a key role in enabling doctoral candidates to obtain a first-rate education within the PIER network. The PIER Helmholtz Graduate School ensures that doctoral candidates receive an internationally recognized and optimally supervised education in their respective fields. The graduate school promotes research and networking within an interdisciplinary framework. Various interdisciplinary events in the PIER research fields provide participants with the basis for lively scientific discourse. The graduate school offers their doctoral candidates a wide range of internationally focused support activities and attractive services. These offers include financing possibilities for conducting research abroad and discussions in small groups with renowned scientists from all over the world. Thanks to their roster of scientists from more than 40 countries, DESY and Universität Hamburg are extremely international. 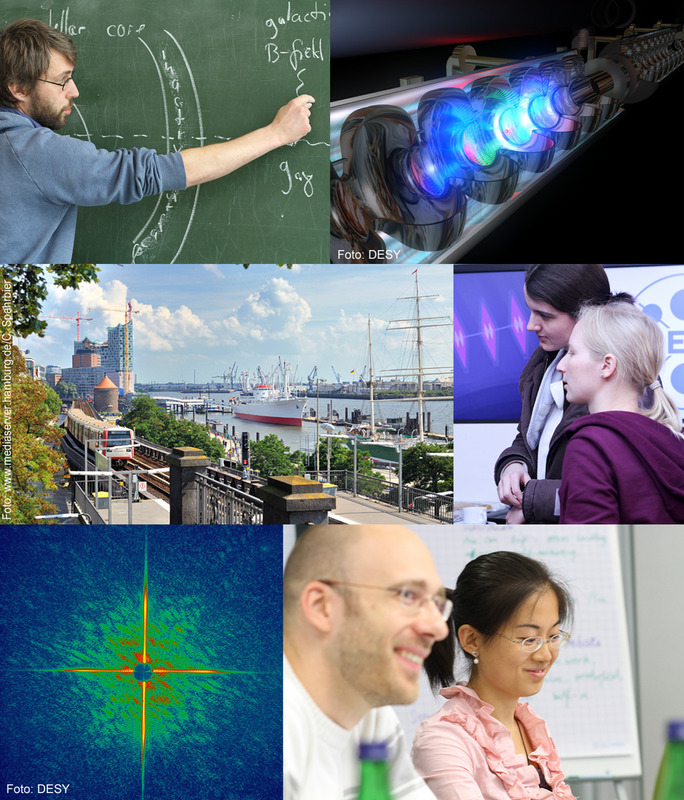 Because good living conditions are also essential for obtaining a PhD, a wide range of services and support measures is offered to the doctoral candidates at the PIER Helmholtz Graduate School. The offers range from a buddy programme organised by and for doctoral candidates to assistance with obtaining a residence permit and finding accommodation. Other services include special language courses and organised leisure activities that enable students to jointly discover the beautiful and lively port city of Hamburg. The qualification concept focuses on teaching students key skills that will prepare them for their subsequent careers in science, research, industry and business. In addition, the graduate school offers doctoral candidates numerous career development opportunities that range from individual career advice to job fairs. The graduate school welcomes applications from highly motivated graduates two times a year in spring and autumn. Don’t delay — become part of the unique PIER network!